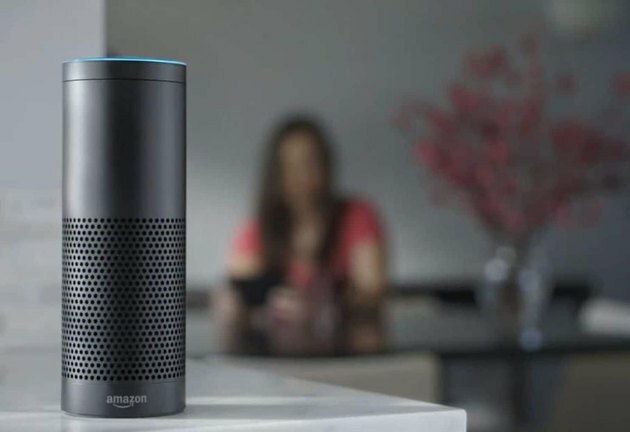 Amazon Echo provides entertainment and voice-activated control to a smart home. Alexa is the cloud-based, voice-responsive operating system that supplies the functionality of Amazon's line of Echo devices. The Alexa Voice System, in concert with the downloaded Alexa app, assists in configuring and personalizing a new Echo device. Alexa is designed to sleep, ever alert, until prompted by a wake-up word. 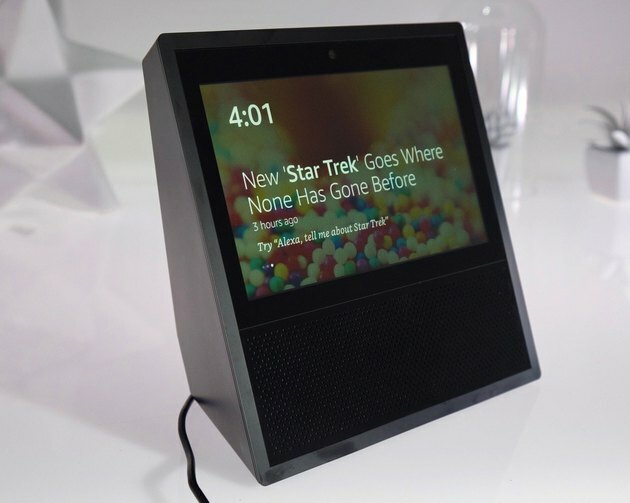 That wake-up word, chosen during the initial setup, can be "Alexa," "Echo," "Amazon," or "computer," as the user prefers. At each step of the setup process, the Alexa experience can be individualized, with preferences set for music and podcast services, your choice of media sources for news, weather and sports briefings, personal lists and reminders. 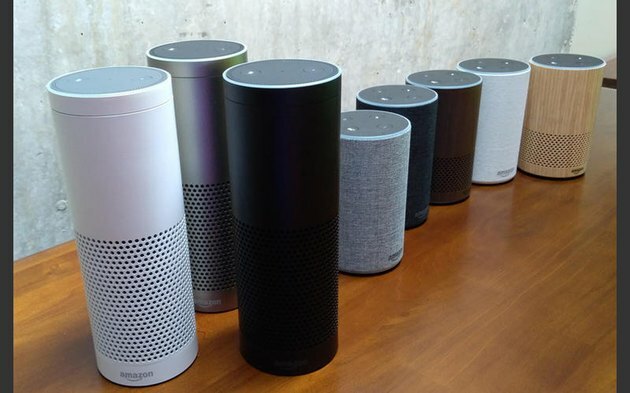 The Amazon Echo Plus (front) and 2nd Generation Echo are available in a variety of colors and finishes. Capable of communicating and responding in English, French, German or Japanese, Alexa's cloud-based coding enables the system to operate with a high degree of sophistication. With use, Alexa's recognition of a user's personal speech characteristics and regional dialect actually improves. 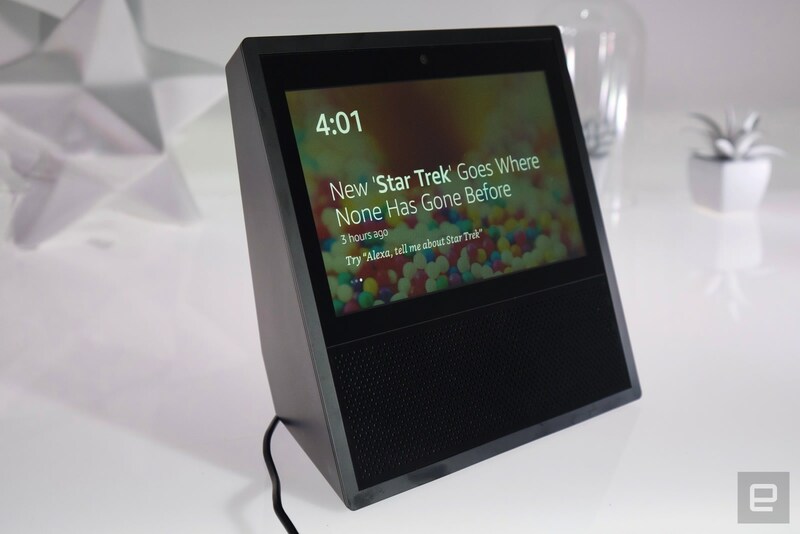 In addition to the information and entertainment services Alexa provides, the system can also act as an interface between a user's voice command and any of a number of smart home devices. The Amazon Echo smart speaker, with Alexa Voice Service onboard as the unit's user interface, was first introduced in late 2014. That first generation Echo has since been supplanted by a second generation Echo with a better speaker array and an improved Dolby sound system. The second generation units also feature updated controls that affect the reset procedure. New products added to the Echo line since its inception each have their own individual reset protocols. Alexa Won't Talk to You? Like any computer, the Amazon Echo may occasionally freeze for indeterminate reasons, and the solution may be as simple as restarting the device. To do that, unplug the power adapter from the wall or from the back of the device, wait 30 seconds, then plug the adapter back in. If that doesn't work and the unit is still unresponsive, the next step is to try resetting the unit. 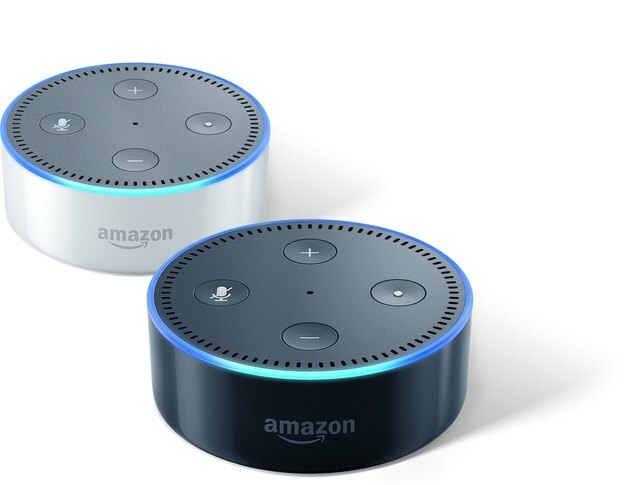 Keep in mind that after an Echo device has been reset, it will have to be re-registered to an Amazon account and preferential device settings will have to be reentered before it will regain its functionality. This is to be expected and is necessary so that it is possible to decommission a used Echo device that will be gifted or sold. The second generation Echo Dot does everything the Echo can do except supply its own room-filling sound. The procedure for resetting an Echo device will vary with the device itself and also with the generation to which it belongs. First-generation Echo units did not have buttons for volume control and instead require a paper clip or similar tool to access the reset button. 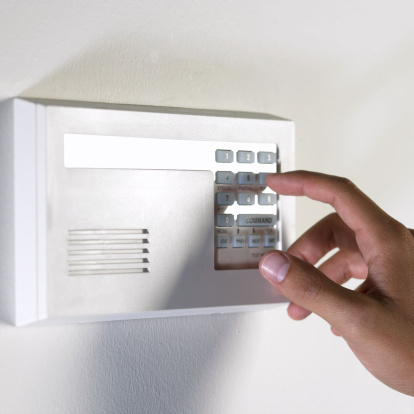 Find the access to the reset button at the base of the device. With a paper clip, press and hold the reset button. The light ring on your Echo will turn orange and then blue. Wait for the light ring to turn off and then on again. The light ring will turn orange, indicating that the Echo device is ready to be re-registered and set up again. Before resetting the unit, deregister it by first logging into your Amazon Account. Click on your name, and then Accounts & Lists. Scroll down to click on Your Content & Devices. Click on the drop-down menu and select Deregister. The Echo unit will disappear from your list of devices and all content will be removed from the unit. With the Echo Device plugged in, press and hold both the Volume Down and the Microphone Off buttons until the light ring turns orange, then blue. Wait until the light ring turns off, then on, then orange again. The device is now in setup mode and ready to be re-registered. In addition to the functionality of the basic Amazon Echo, the Echo Plus has a built-in hub that automatically senses and integrates with Alexa-enabled smart home devices. You have the choice of resetting the Echo Plus while retaining its connections to smart home devices or to purge those connections and return your Echo Plus to factory settings. With a paper clip, press the reset button once and release. The reset button access is at the base of your Echo Plus. The light ring will turn orange, indicating the device is ready for setup. Open the Alexa app to reconnect your Echo Plus to a Wi-Fi network and register it to your Amazon account. With a paper clip, press the reset button and hold it for at least eight seconds. Access to the reset button is at the base of your device. The light ring on the unit will turn orange and then blue. Wait for the light ring to turn off and on again. When the ring returns to orange, the Echo Plus is in setup mode. Open the Alexa app to connect the device to a Wi-Fi network and register the unit to an Amazon account. The Echo Show combines the capabilities of the Echo with a touch screen. With Echo Show, Amazon has added a touchscreen to the Echo's capabilities and controls. On the Echo Show screen, swipe down from the top and select Settings or say, "Alexa, go to Settings." Under Settings, select Device Options. Select Reset to Factory Defaults. All of your personal settings and information will be erased and ready to be set up again. The Amazon Echo Spot is essentially an Echo Dot with a small round touchscreen. The reset procedure is similar to that for the Echo Show. Swipe down from the top of the screen and select the Settings icon. Select Reset to Factory Defaults. All of your preferences and personal information will be erased and the unit is ready to be set up. Technically, the Amazon Tap is not part of the Echo line of products, but it is Alexa-enabled and performs the same essential functions. The difference is that the Tap is cordless and rechargeable and you must touch a button to summon Alexa. Press and hold the Wi-Fi/ Bluetooth button and the Previous button for 12 seconds. The lights will turn orange and then blue. Wait for the lights to turn off, then on again. When the lights turn orange, the device is ready for setup. Use the Alexa app to connect the Tap to your Wi-Fi network and register it to your Amazon account.